Lizzie Black Kander’s life experience coincided with the emergence of industrialized cities, rapid urbanization, and the massive immigration of her coreligionists from Eastern Europe. Elizabeth, “Lizzie” Black was born in Milwaukee on May 28, 1858 to John and Mary (Perles) Black. The Blacks lived on Milwaukee’s South Side, having moved from Green Bay in 1844. Shortly after graduating from high school, Kander began establishing services for Milwaukee’s Jewish immigrant community by volunteering for the Ladies Relief Sewing Society which later evolved into “The Settlement.” In 1900, Kander was named president of Milwaukee’s first Jewish settlement house, located at 507 Fifth Street. Throughout its early history, the Settlement’s basis of financial support was largely dependent on Kander’s ability to raise money among Milwaukee’s business elite. In an effort to financially sustain the Settlement’s work, Kander suggested developing a charitable cookbook based on her cooking classes for immigrant women. In 1901, The Settlement Cook Book: The Way to a Man’s Heart was published. The cookbook contained Kander’s heirloom recipes, dishes contributed by her fellow clubwomen, and advertisements from Milwaukee’s local food merchants. Immigrants taking Kander’s cooking class bought the book for a nominal fee, while the rest of the books went on sale at Milwaukee’s Boston Store for fifty cents. Within one year, the book sold out and profits reached $500. Subsequent editions of The Settlement Cook Book provided the settlement house with operational funding for nine years. In 1910, Kander put her fundraising skills to work once again to raise $30,000 for a new building, which became known as the Abraham Lincoln House. As Kander’s services progressed at the Lincoln House, she sought to expand her programs to Milwaukee’s community at large. 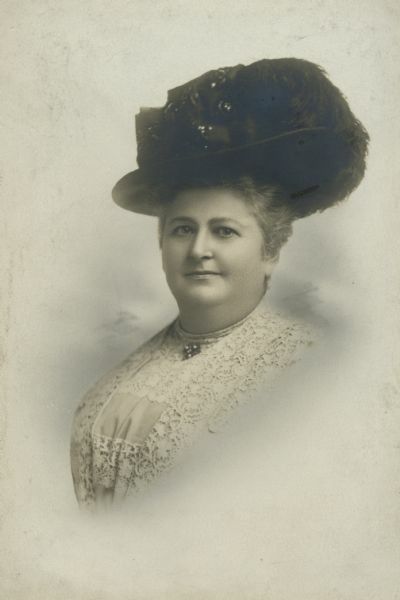 In 1907, Kander was elected to the Board of School Directors and used her influence to institute Milwaukee’s first public program of industrial education for girls, which later became Milwaukee’s Trade School for Girls. During World War I, Kander headed the Food Conservation Committee of the Milwaukee County Council of Defense. In 1920, Kander organized the “Kitchen of Nations” for Milwaukee’s Food, Household, and Electric Show. During the Great Depression, she established one of the country’s first food exchanges, known as the Lincoln House Food Exchange. In 1931 the Abraham Lincoln House officially became the Jewish Community Center, largely financed by the Settlement House Cook Book Company. In her later years, Kander wrote a newspaper food column for the Milwaukee Journal. Kander edited and revised over 23 editions of The Settlement Cook Book until her death on July 24, 1940. ^ Angela Fritz, “Lizzie Black Kander and Culinary Reform in Milwaukee, 1880-1920,” Wisconsin: Magazine of History 87, no. 3 (Spring 2004): 38, 40, 43. ^ Fritz, “Lizzie Black Kander and Culinary Reform in Milwaukee, 1880-1920,” 43, 44. ^ Fritz, “Lizzie Black Kander and Culinary Reform in Milwaukee, 1880-1920,” 48, 49. Fritz, Angela I. “Lizzie Black Kander and Culinary Reform in Milwaukee, 1880-1920.” Wisconsin: Magazine of History 87, no. 3 (Spring 2004), 36-49. Kann, Bob. A Recipe for Success: Lizzie Kander and Her Cookbook. Madison, WI: Wisconsin Historical Society Press, 2007. Klapper, Melissa R. Jewish Girls Coming of Age in America. New York, NY: New York University, 2005. Swichkow, Louis J., and Lloyd P. Gartner. The History of Jews in Milwaukee. Philadelphia, PA: The Jewish Publication Society of America, 1963.